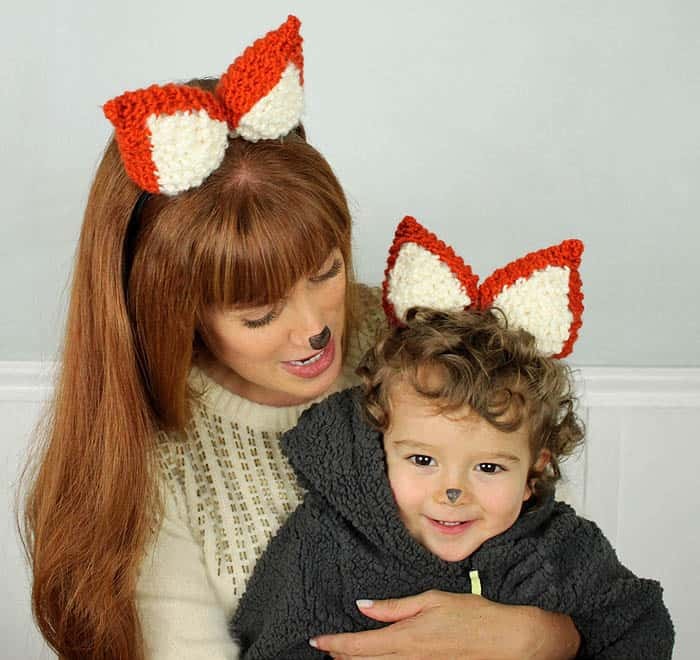 Mama & Baby foxes courtesy of this Halloween Fox Ears Knitting Pattern! 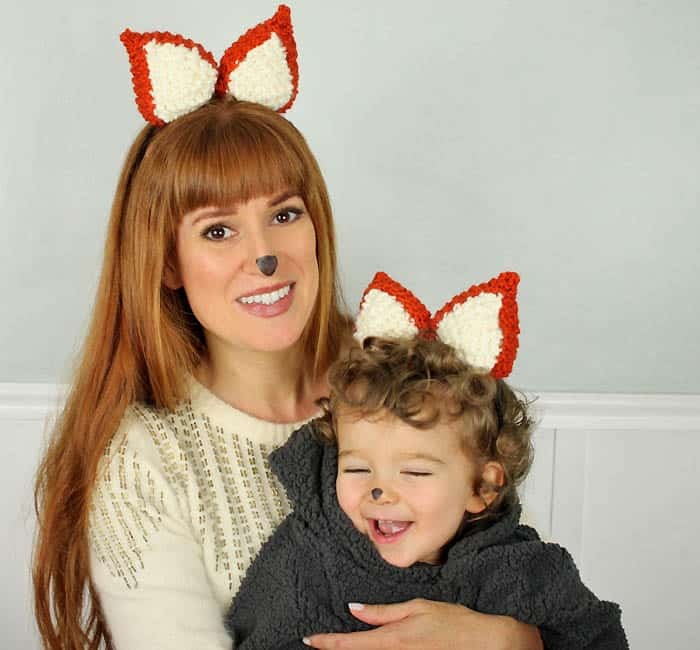 The Halloween cat ear knitting pattern I posted a few days ago can easily turned into fox ears with some adjustments to the pattern. With the orange yarn, Cast on 14 sts. Knit rows for 7 rows. 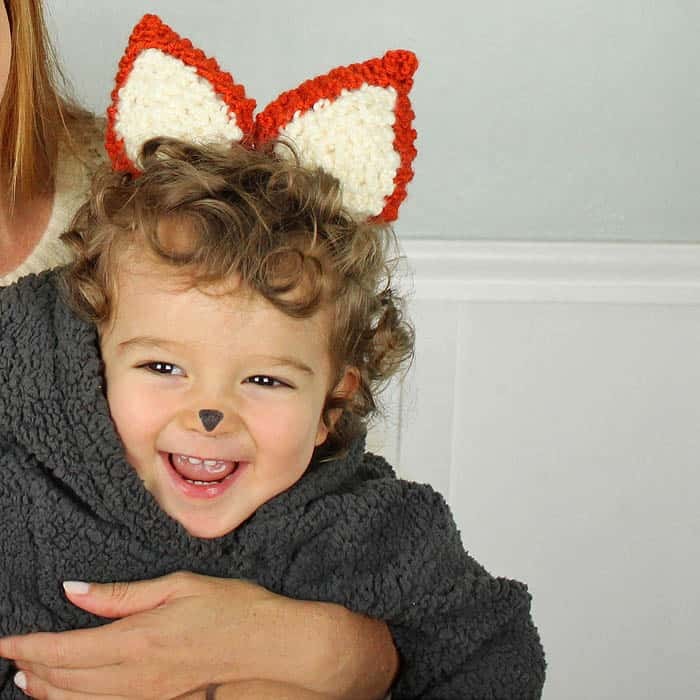 With the orange yarn, Cast on 14 sts. Knit 3 sts with the orange then switch to the white. Knit 8 sts. Switch back to orange and knit another 3 sts.